Tamariki at Kidsfirst MacFarlane Park have been busy growing another round of sunflowers to add a splash of summer colour to their kindergarten's big backyard. 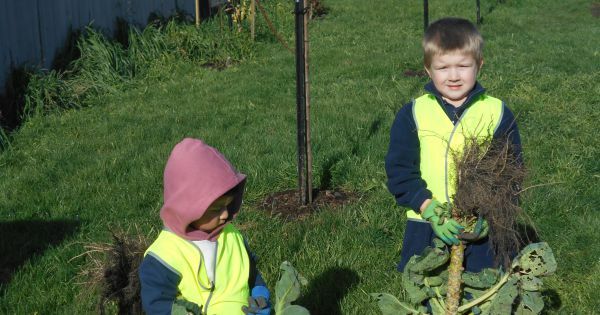 As the spring weather warms up and the days get longer it’s a great time to get the kids outside, both at kindergarten and at home, to help with some gardening. 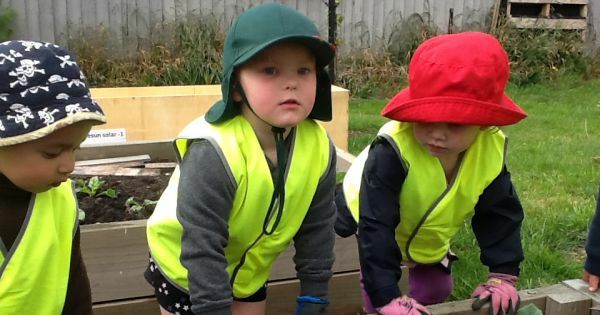 Tamariki at Kidsfirst MacFarlane Park have been busy growing more sunflowers to add a splash of summer colour to their kindergarten's big backyard. As well, they’ve been tending to new cabbage and bean seedlings ready to plant out in their vege patch. Other seedlings happily on the grow for the new season are broccoli, cauliflower, rhubarb and carrots. Over the coming summer months tamariki can watch as redcurrants, apples and cherry’s grow juicy ripe ready for harvest. Meanwhile, teachers were kept in a constant supply of brussel sprouts over the winter and a kindy grandad was rapt to take home two bags of silver beet offered to him during a visit. Kidsfirst MacFarlane Park’s big backyard also extends beyond the kindergarten gates and down the road to a community garden. 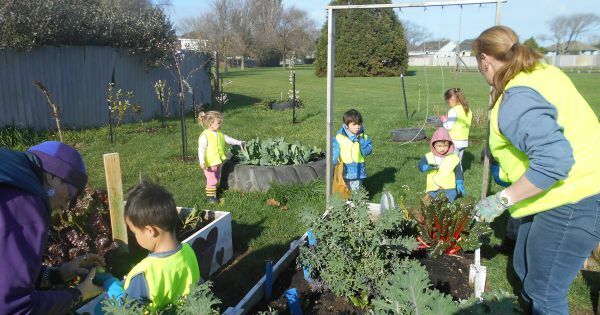 “We are still going on our weekly Wednesday visits to the Shirley community garden to maintain our boxed gardens and fruit trees there,” says teacher, Helen O’Connell. 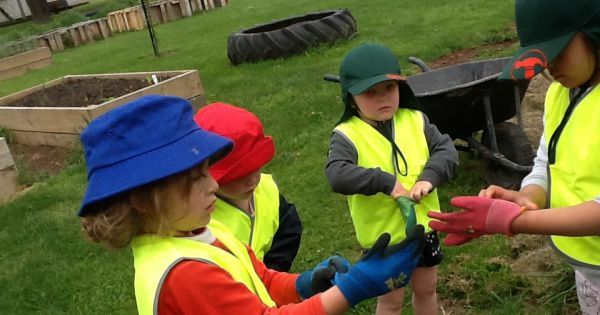 What's good about gardening for children? All that sunshine, fresh air and good earth are great for engaging children’s sensory development. Not to mention they’re a dap hand at the watering can. Eating and cooking with fruit and vegetables picked fresh from the garden helps encourage healthy eating. Watching plants grow from a tiny seed or seedling to maturity and harvest helps teach children about taking responsibility to care for living things…and patience! Gardening at kindergarten and at home with family and friends helps children develop good social skills. It’s all about working and communicating together for a great result! Read more about MacFarlane Park's award winning garden.